*Draperies and curtain panels are usually made from fabric and can be designed with pleats, tab tops, rod pockets, etc. They can be hung from rings and/or drapery pins on curtain rods, medallions, traversing rods or other creative hanging systems. They can vary in style from modern to traditional, contemporary to eclectic depending of the fabric, color, pattern and style. They can be dressed up with valances, swags, cornices or scarves at the top of the treatment. Drapes and curtains can be functional and provide privacy or transparency or could be purely for aesthetics. *Blinds can be horizontal or vertical and can be made from various materials such as metal, wood, or synthetic materials. They can vary in color and style and can be embellished with colorful and decorative banding. They come with privacy and blackout. They can be extremely versatile. Some styles can be made with top down bottom up and remote controls, which makes them useful for windows that are hard to reach. *Shutters can be made from wood or synthetic materials mixed with wood. They can provide light control and privacy. They can be implemented into varying design styles from traditional to more contemporary designs. Once you have decided on the function your treatments, the next step is deciding how you want your window treatments to look. Look around your home and decide what your design style is. If you are more traditional, you will want to consider draperies and swag valances as options over any functional treatments you may have selected. If your style is more contemporary, simple panels over roller or solar shades may be your cup of tea. An easy way to coordinate your treatments is by color. To do so, make sure that your selections have a color match with another fabric. Your fabrics do not need to have all the same colors in common. A red from a floral or plaid and coordinate with the same red in another style of fabric, such as a stripe. A solid piece, such as an accent pillow in that same color to round out your palate. The most important thing to consider, regardless of your design style is scale. You will want to create treatments that fit the scale of the room and the windows. Many homeowners with two story windows make the mistake of only dressing the lower windows. Although if done correctly this can look nice, ideally you will want to address both levels of windows. If you have a more traditional style, formal swag valances over each of the windows will create drama and interest. You can also add drapery panels to the lower windows underneath the swag for function and added aesthetic. Floor to ceiling drapery panels with swags at the top will also create a very dramatic, formal and more traditional look. If you have multiple windows united in one area, consider treating them as one window. Perhaps panels on each end with a beautiful, dramatic valance across all of the windows can add the drama you need. If you have a more contemporary design style, simple floor to ceiling grommet top or pinch pleated panels on either side of each set of windows can create drama and elegance. Sheers draped dramatically over the higher windows and pulled back with a tie-back can create drama in a more casual room and can also take the edge off of a brightly sunlit room. The Internet can be a great resource for creative two-story and irregular window treatment ideas. A simple Google search for two-story window treatment ideas will come back with hundreds of pictures of creative solutions for irregular and oversized windows.. When it comes to window treatments, we are only limited by our own imaginations. Creativity is the key to creating beautiful, dramatic window treatments the fit the scale of our rooms and that coordinate with our design styles. Encounter: Encounter is another crucial aspect that you should take into consideration prior to picking a roofing contractor. The contractors you employ must have comprehensive experience in the field of roof covering in order to suitably understand your requirements as well as inclinations. A contractor doing not have adequate experience can not possibly understand your assumptions as well as demands. In addition, it is likewise important to comprehend their field of know-how. A contractor specializing in providing services for floor tile roof covering could not perhaps understand your needs concerning a composite roofing. Roofing & Repair Guys is an excellent resource for this. When you moved into your house, you may have been met with boring, white walls. What is worse is if you were blinded by horrific colors. When you need to make a change to the walls of your home, there are certain interior painting tips you will find useful. Likewise, after time, you may need a fresh house painting look on the exterior. Exterior painting is more difficult due to the height and scale factor, so it may be wise to hire professional painters. However, useful exterior residential painting tips are provided here as well. First, prepare your room for interior painting. Remove the furniture, lay down a drop cloth, remove outlet covers, and have a step ladder handy for reaching the ceiling with your roller. When painting over already-painted walls, you will need to scuff sand it first to encourage the paint to stick to the surface. If you are unsure about the housing painting color you chose now that you are in the room, you can do test swatches on different areas of the wall to see how the light affects it. Leave it over night to let it dry and see it in all different kinds of light. As you paint, roll over any drip marks, smudges or streaks that appear to help you achieve a more professional look. Why not check this article. Tips for house painting should only be taken by those with exterior painting experience. Otherwise, leave it to the professional painters. The preparation is the most important part of residential painting. You need to repair and wash all surfaces, remove cracking paint, patch nail holes, caulk the seams and corners, cover dark stains with blocking primer and sand glossy surfaces before you can even get started. Do not forget to remove window screens and all light fixtures and cover all else with drop cloths as well. This preparation, which much be completed before the painting process can even begin, is all performed by professionals if you simply want to hire skilled painters to get the job done. The colors of your surroundings can affect the way you feel in a room. That is why interior painting is performed by many homeowners. Exterior painting is important as well because the condition and color of the paint on the outside of your home says a lot about you. Overall, residential painting is something that takes practice and bit of hard work, but the end result is nearly always worth it. Aside from the classical appeal these materials can bring to your house, it also has numerous value and energy efficiency. 1. Brick veneer also known as facing is the term coined to any surfacing material. When this is added to your walls, 35% of energy is saved. How? The sealing air leaks around the windows and the heating and ventilation are improved. 3. An increase up to 10% on resales value. According to a study, the brick home can demand until 6% for the resale price than the non-brick homes. In renovating your house,it is also important to bear in mind that you should be flexible with the existing structure of our house, the beauty of its transformation depends also on how fit the designs are to its structure. Often, bricks are applied to the existing siding usually a wood-frame construction. However, the siding must be replaced or removed if it is uneven or in poor condition. We can spend now on the replacement than spend on repairs. There are two aspects we must consider in renovating our houses with these materials. One is the technical aspect and the other is the aesthetic. When it comes to the technical considerations, we will be needing the help of a masonry contractor. Here are some of those things we must consider. You also need the help of your masonry contractor when it comes to the aesthetics of your house. When it comes to colors, we must consider the mortar colors since it makes up the 20% of a wall’s major impact on the totality of the look of your house. Finally, we can go to the fun and light part—how to customize these materials. You can mix and match your bricks with over 10,000 colors and styles from traditional to modern home designs depending on the structure and your personality. Most people do not know there is more than one way to buy affordable kitchen cabinets that provide the beauty and functionality you want and the price you want to pay. Most people think there are only three price options: knock down, stock and custom cabinetry. You can take advantage of a little-known fact to get the beauty and flexibility of custom work for the same price as what most people think of as inexpensive kitchen cabinets.The secret to affordable kitchen cabinets should not be a surprise to most consumers. The secret is to hire a top rated cabinetmaker with a purchasing agreement with a distributor of high quality stock cabinets. The cabinetmaker then customizes the stock cabinets, resulting in custom cabinets at the price of inexpensive stock cabinets.Visit them at westminster ca cabinets to get additional information. Think for a moment about why people prefer custom cabinets when they remodel or upgrade from affordable kitchen cabinets. There are several reasons:They want custom for the beauty of high quality natural wood.They want cabinets made of a specific wood.They want a particular door style not typically available in affordable kitchen cabinets.They want a particular finish on the wood.They want cabinets fitted with specific organizational or accessibility inserts.They know they will want or need cabinets in sizes not available in less expensive kitchen cabinets.They want facings for doors on appliances, specialized appliances, such as refrigerated drawers or under-counter refrigerators or wine chillers.They want unique features for storage of pots and pans and lids or other custom storage and accessibility options.They want to add small units for canned goods, soups, canned drinks, etc., not usually available except in higher priced cabinetry.Kitchens are once again becoming the center of family life. This means kitchens serve multiple purposes in the home. The purposes for which each family uses the kitchen suggest different configurations of cabinets and islands and appliances. Some time in your life you go through a phase when you get to renovate your home. Home revamping can not only change the appearance but also adds value to your home. The renovation usually is either carried out by yourself or you hire a home renovation contractor to do the project for you.Our website provides info on Stonebridge Contracting. The ideal means of engaging a reliable and experienced contractor is to get references from friends, acquaintances and family. You can also check with the Better Business Bureau to ascertain that they are listed there. Once you have got the list of people you would like to consider, do a weeding and note three of the best. Ask them for referrals with phone numbers so that you can contact their clients to get details about the projects they have completed. Do not forget to inquire about their time schedule of the work, and also if they can stick to the given budget. Last but not least ensure that he has a valid license for the city you are in and is qualified for all the work that he is undertaking. Talk to each of the people you have selected and get their feel, remember that you should feel at home with them as they will be the ones who will be around your home for a couple of weeks at least. Once you have chosen the man you feel is best suited for your requirements, talk over you plans with him, discussing everything so that you and the contractor know exactly what you want of him. Outline the entire project for him with a list of all items. Get him to give you an estimate of everything from demolition, and materials to cleaning up and finish. Confirm his down payment, keeping it as low as you possibly can, and at what intervals the remaining amount will have to be paid up. A good home renovation contractor should be able to draw up contract with each and every minute detail about the proposed project and ensure that you sign it. At some point, every homeowner struggles with stains on the roof, dirty siding, and a worn out deck. Fortunately, if you have a little time and the right equipment, it is a simple task to remove stains and restore a newer look. There are a few important things to remember before you start cleaning. Not doing the job properly can result in permanent damage to your property and may require replacement of damaged pieces. So you want to make sure you know exactly what you are doing to avoid any mishaps. Many homeowners across the American Southeast and parts of the Midwest have had to combat a roof bacteria known as gloeocapsa magma, a form of ancient cyanobacteria. Typically, roof sections which do not get early sun hold onto morning dew longer and create a perfect atmosphere for moisture-loving cyanobacteria.Check Over Here for More Info power washing fuquay. Removing the black stain these bacteria create requires a low pressure power washing to avoid damaging roof tiles. While roof tiles are very hardy and can take a higher pressure, there is a chance that older tiles will be damaged by high pressure or a nozzle closer than six inches. You can clean off these stains with a 25 degree nozzle at 2,500 PSI, but you may want to test on a single shingle at a time so that you can determine what pressure will work best for your roof. You may also want to consider cleaning chemicals and a soft bristle brush to remove any remnants. Cleaning a deck with a power washer can be a daunting prospect. As anyone who has handled a pressure washing system knows, it is very easy to damage or destroy what you are trying to clean. A wooden deck can be chewed to pieces if you don’t use the proper settings. Typically, you will want to use a 45 degree nozzle at about 3,000 PSI. The most important thing to remember is to keep the nozzle far enough away from the deck that you are not removing pieces of the wood itself. Once the wood has been cleared of dirt, lichens, or stains you can let it dry before applying stains or deck treatments. Remember that while it may be tempting to pressure wash your deck in the summer barefoot, even a low pressure power washer can break the skin so always wear appropriate foot protection. Using a pressure washer on siding is a fairly delicate process compared to a deck or roof. If your siding is painted, you want to use a lower pressure washer with a 45 degree nozzle and keep it no closer than 12 inches from the surface. Any closer and you risk removing the paint rather than just cleaning the surface. For unpainted surfaces, a 3,000 PSI washer could be used so long as care is taken. Always remember when cleaning siding to clean along the siding. For horizontal siding, clean side to side. Cleaning up and down on horizontal siding with a pressure washer could damage the siding or even peel it away from the house. For safety reasons, you should never stand on a ladder when using a pressure washer. If you have a second story to clean, you should purchase or rent an extension for the pressure washer. Because of the climate in Raleigh, power washing your roof is a great way to combat the gloeocapsa magma that loves to grow in the mild weather. Plenty of sunshine also means faded decks which need to be cleaned and refinished. Even aluminum or cedar siding can collect dirt, tree sap, and bird droppings which can harden and become nearly impossible to remove with anything but pressurized water. So long as you know how to safely use a pressure washer, it can be a great tool for maintaining the aesthetic value of your property and keeping your house exterior well-maintained. Looking for ways to save money and energy? Purchasing energy efficient replacement windows can do just that! Let’s review why windows need replacing and dive into important subjects such as radiant transfer, air leakage, double-pane insulated glass, and triple-pane insulated glass. After this quick lesson you’ll certainly feel more confident that you don’t need window replacements, or you’re certain it will be a great idea.Learn more about them at dual pane window supplier. When your windows are showing the typical signs associated with age. Maybe they’re rotting or you’ve been feeling drafts in the winter, both are signs of an issue- but how do you know if they need to simply be fixed or if they should be replace? As windows usually account for about a quarter of the heat loss in a typical home, purchasing new windows with up to date technology may be a smart choice if you want to save energy and money. Having an energy audit may help you to decide what areas of your home need improving for to make your home more energy efficient. If you do decide to replace your windows, you will most likely see a great return in energy savings rather quickly. Radiant transfer is the process through which energy waves carry heat from a warmer body to a cooler body. This relates to your windows because, clear glass absorbs heat and dumps it outdoors. In order to reduce your window’s radiant transfer, a window can be coated with a material that reflects specific wavelengths of energy. These low-emission (low-E) coatings are microscopically thin, practically invisible, and come as a metal or metallic oxide layer. Windows with low-E coatings are very energy efficient because they emit less long-wave heat energy, which keeps the heat in the house in the winter and out of the house in the summer. This therefore increases the energy efficiency of your home and is a smart choice when choosing windows. 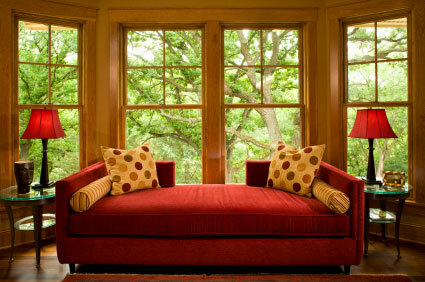 Windows can become a source of much of the energy loss and air leakage in homes. Weatherstripping and high-quality closing devices that effectively block air leakage are essential when trying to save energy in your home. During the summer, it’s important that windows are closed tightly during the day so that the cool air stays in and the hot air stays out. The quality of the window is important too because this determines how tight the individual pieces of the window are joined together. The technical specification for windows contains values for air leakage. Commercial real estate can be tough to get a handle on and making sure you get the best commercial real estate advice can make the difference between making it and losing your shirt. Professionals and “gurus” have devoted years to identifying, financing and making deals happen no matter through all kinds of markets. Do you honestly think you’re going to waltz right in and be the next Donald Trump? Commercial real estate is a terrific way to make money, but you already knew that because you are here! So what’s you’re next step on the path to financial success as a commercial real estate investor? First, get a sound knowledge base in real estate and investing principles. This could mean taking some courses at a local college or online, reading some books or attending some seminars. Obviously, a trip to Border’s Books or the library is going to be cheaper than other two options, but do whatever you think is best for your unique situation. Any way you do it, you need to learn the basics of the business and know what you’re getting into before you sink money into an expensive seminar, course or worse yet an actual piece of property.Navigate to https://3cre.com. The nature of available property investments differs from market to market, so the best piece of commercial real estate advice you can get is to find a mentor you guide you through it all. A good mentor, whether they are directly located in your market or not, can teach you how to spot good deals, avoid bad ones and maximize returns. They can also point you in the right direction as far as education, seminars, what you need and what’s a waste of money. Once you have a good knowledge base a reliable source of information for the type of investments you’re considering, you’re ready to test the waters. Find the local investors who are making your dream a reality and watch what they do. Do your best to follow their progress on deals and look at the work it takes to make it all happen. Start looking at properties and deals that are comparable to what successful commercial investors are involved in and prepare yourself for your first good deal that comes your way. Still looking for more commercial real estate advice? TheRealWelathBlog is run by professional commercial real estate investors who know their way around a deal. Make sure to subscribe to their newsletter so you get the most out of their updates and this wonderful blog! We seem to be a culture that loves to fix the word “smart” into new technology advancements and there’s no shortage of tech that is just that. While these tech advancements often sound more like science fiction, they’re growing every popular and there’s no shortage of these types of advancements for the home. The most prominent now is smart glass – which acts like a solar light switch for the home. Instead of relying in window treatments to block light this advanced replacement window automatically controls the level of light penetration into the home.If you would like to learn more about this, visit their website at Zen Windows. Smart glass is often referred to as switchable glass. The windowpanes within smart glass window replacements will dim and brighten – and how they allow light through depends on the style of smart glass you have installed. Some work by flipping a switch to control the tint with adjustments to control the level of opacity. Other smart replacement windows can operate without any manual adjustment, responding to light levels similar to the way treated sunglasses respond to sunlight. This is called photochromic technology. The benefit to the use of photochromic tech within your window replacements is that it requires no manual operation and uses no electricity. Another system – though slightly less popular – are window panes that do not response to manual operation or light levels but instead are made with thermotropic panes. These replacement windows will dim according to the heat levels that are read by the glass. The downside to this as well as photochromic window replacements is that you have no control over the level of light in your home. There’s also the problem with winter months where thermotropic windows won’t tint properly and photochromic technology will act as a radiant barrier preventing solar energy from heating the home through the replacement windows. Switchable glass replacement windows isn’t a new technology, it’s been on the market for several years and has had the opportunity to be improved upon. The advancement of chemical engineering for smart glass allows improved switching methods on panes that have manual operation. A similar advancement is in suspended particle devices where a conductive glaze covers the panes of glass in window replacements. When denied an electrical current the elements block the light and remain opaque until a switch is tripped. When the circuit completes the particles line up and become transparent, allowing light to pass through. The same stuff that’s found within the displays in your digital clocks, DVD displays and laptop screens is also put inside of replacement windows. This works similarly to SPD technology with panes remaining black and white. Add current and the liquid crystal aligns to let light pass through. If you remove the current the window panes go solid. There are many services which help people out in difficult and distressful situations. These rescuers are the firemen, medical practitioners, security personnel and a number of other people from varied fields. Locksmith service providers also form an important part of that list. From that standpoint, locksmithing is quite a noble profession. A locksmith is a person who is well versed in the art of attending to any types of lock and key issues, chiefly the residential, commercial, industrial or even the automotive locks. Further, the providers are always willing to provide their services irrespective of the day or time of the year. Whenever you need them, they are only are a call away. So, it is not wrong to put the 24 hour locksmith in the league of other rescuers and emergency workers.More tips here Diamondback Lock and Key. The locksmiths can be working independently or under some type of employment. Some of the common places where they can find employment are the companies dealing in security devices and equipments, the residential blocks or apartments, the construction companies and contractors, even the security agencies like intelligence and likewise. Some of the market associations might be hiring them for meeting the needs of the members. Some of the situations where 24 hour locksmith services are requisitioned or they are permanently employed are the following: Wherever there is a need for regular installation of the security devices and equipments. Wherever there is expected to be frequent breakdown of the security devices and there is a need to get these corrected immediately. Wherever there is a complex security arrangement warranting the need of some in-house locksmith services providers who knows how to deal with the peculiar systems. Wherever, by reason of confidentiality and secrecy, the outsiders can not be relied upon. Due to their specialized skills which can have a direct impact on the safety and security of people and their assets, locksmith services providers are required to have the relevant licenses. The customers also verify the authenticity of the 24 hour locksmith by checking the license. In the absence of the license, the locksmith is not required to provide services, by the law. In some situations, they are not required to carry certain lock picking tools as well if they are not carrying the license. Tough regulations of the law are a necessity to ensure that the locksmiths do not go the wrong way and cause problems to the people. When you think of sleep do you think of waking up feeling refreshed? Or like the majority of us think of waking up tired, groggy, and perhaps lacking energy throughout the course of the day. Getting a great night’s sleep is a very import part of living a healthy active lifestyle. When you get a great night’s sleep every part of your life gets better. From extra energy, more focus, and even an overall happier day.For further information regarding this, feel free to visit them at mattres hub. A memory foam mattress is a great way to help improve sleep. A mattress like this conforms to your body providing instant comfort and allowing one to fall asleep quickly and waking up feeling fully refreshed. Although a memory foam mattress is the perfect solution, the cost can be quite overwhelming to some. The good news is there is a way to get the amazing sleep of a memory foam mattress without the expensive costs of buying a whole new mattress. Memory foam mattress topper’s can be placed on top of your existing mattress and turn it into the luxury that is a memory foam mattress. Not only will it transform your existing mattress, it will do it with a fraction of the cost of buying a whole new mattress. Imagine laying down to sleep in a bed that conforms to you in a way that helps you sleep through the night without tossing and turning. Memory foam mattress topper’s are not just for comfort in sleeping. In addition they can also help in living a healthier lifestyle. With the right topper it can help eliminate back pain, or sore muscles from sleeping in awkward positions. Many people with back pain tend to go about that pain by using medicine which hides the pain but does not go after the cause. A memory foam mattress topper will cure any sleep related back pain for good! Picking out the best mattress topper can be quite tricky. There are many company’s, styles, and sizes available. The general rule of thumb is to aim for something above two inches. This allows enough room to conform to your body’s natural shape. In addition its best to look for a product that has a warranty of some sort. When a company stands behind its product with a warranty you know it is a worthy investment. I hope this article helps you improve your sleep and ultimately get the sleep you truly deserve! There are few ways to go about finding a residential locksmith. The first way is by picking up your phone book and opening it to the yellow page section. You will need to find the section entitles locksmith services. Another way to go about this is to use the Internet. A search for locksmith services will bring up a lot of results. Be sure to enter your city and state or your zip code into the search so you find smiths that are local to you. After you find some results, scan the ads. Most locksmiths will highlight the services they offer in bold lettering with their name and number. If that information is not present, simply call some of the numbers and ask if they offer the service you are looking for. Many locksmiths offer twenty four hour emergency services; you may have to leave your name and a call back number. If someone does not return your call soon, or if your situation is urgent, try one of the other locksmith services listed. Usually, commercial locksmiths will also be listed with the residential ads. Once again, the ad will often highlight the particular services, but if you are unsure, just call and ask. You may also search to see if the locksmith has a website. If so, there will often be a plethora of information about their skills and exactly what type of locking systems they are able to work with. Forensic locksmiths may be a little harder to find. They often work directly with investigative agencies. If you feel you need the locksmith services of a forensic specialist to help with a crime that you have been a victim of, talk to the police officer or insurance investigator on your case. They will let you know if this avenue has already been pursued.